Born November 24, 1959 in Sudan, Badawi is a Sudanese-British television and radio reporter and news presenter. 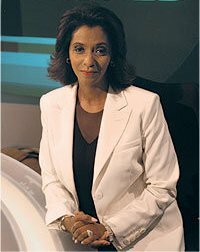 She was the first presenter of the ITV Morning News, which is now known as ITV News at 5:30, and co-presented Channel 4 News with Jon Snow from 1989 to 1998, before joining BBC News. Badawi currently presents World News Today on BBC Four and BBC World News. 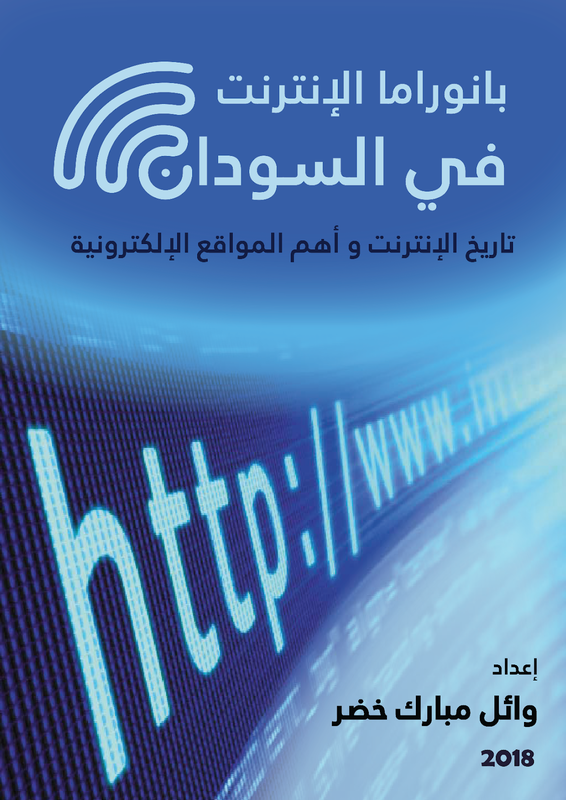 Badawi has been an adviser to the Foreign Policy Centre and a Council Member of the Overseas Development Institute. Since 2004, she’s been a trustee of the National Portrait Gallery and the British Council. 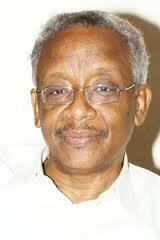 Jaafar Abbas is a Sudanese writer and journalist, famous for his satirical style. Born in Khartoum, he graduated ,at the University of Khartoum, receiving a Bachelor of Arts degree in English.He has worked in a variety of positions in newspapers of Persian Gulf countries newspapers and in BBC Arabic section. 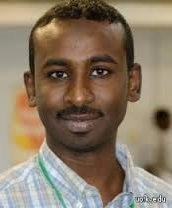 He is currently working as the director of quality assurance department in Al Jazeera. 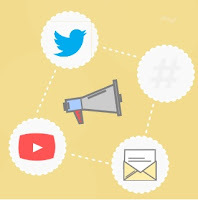 Mansour, is a Sudanese award-winning marketing professional with 12 years marketing experience working across four continents and in six countries. 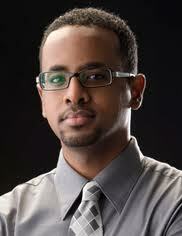 Khalid studied industrial design, communication and holds an MA in Business Design from Domus Academy. 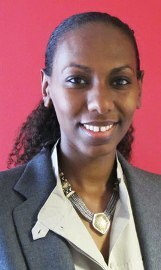 In 2009, Business Week nominated Mansour as one of 21 people who will change business for launching the first privately managed Micro finance project in Sudan. Mansour speaks English, Arabic, French and Italian. 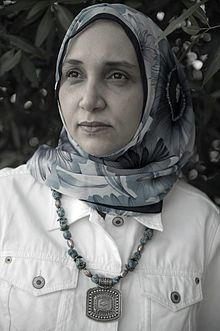 Born in 1978, El bagir is an award-winning international television correspondent. The British Sudanese joined CNN as a London-based international correspondent.In 2008, she picked up two Foreign Press Association Awards, which are the TV News Story of the Year and Broadcast Journalist of the Year. She had been nominated for other awards including the Amnesty Award for Human Rights Journalism and the One World Broadcast Awards.In 2008, she was shortlisted for Young Journalist of the Year at the Royal Television Society Awards. In her first documentary, Unreported World, she presented the first evidence of the Sudanese government’s direct involvement with the Janjaweed and the role China’s arms sales to Darfur are playing in the conflict of Darfur. Lukman Ahmed joined BBC Arabic as Chief Correspondent at the Washington Bureau in July 2007.
became a face in the media supervisor for the Sudan in many Arab satellite channels in America, initiate his media work in the channel, "MBC mother" and then go to the island and then left to “Al-Arabiya” Washington year2007 moved to Radio "BBC" to be the director of its correspondents in the United States. Amir Ahmad Nasr is a sought-after consultant, storyteller, and culture hacker who regularly sheds light on one of the most important emerging trends of our time: how tech-savvy Millennials are hacking business, culture, religion, and politics. Known as the cheeky voice behind the acclaimed sociopolitical blog The Sudanese Thinker—which he wrote anonymously until the revelation of his identity five years later during the Arab Uprisings of 2011—Amir has shared the stage with Nobel Peace Laureates, former presidents, and fellow activists, and has been featured by The New York Times, The Guardian, The Weekly Standard, The New Yorker, BBC, Al Jazeera, and France24, amongst many others. He’s passionate about helping more brands, non-profits, and free enterprises become a force for good.